Mixed martial arts is a peculiar sport. On a weekly basis, men and women get into a steel cage to batter each other with nearly every part of their body. There’s a competitive nature that draws fans in, and stories of these competitors that are worth special attention. But at the same time, there’s a certain type of “ugliness” that makes MMA tough to watch at times. And Conor McGregor recently gave us another example. There’s a lot to digest there. McGregor has the largest platform in mixed martial arts and one of the largest across all of professional sports. He was ranked number 18 in the ESPN Top 100 Most Famous Athletes list. He has 24 million followers on Instagram. And he stated support for one of the most questioned and vilified leaders in the world today. Yet this is just the latest example of MMA's curious relationship with social issues. Karim Zidan of Bloody Elbow has written multiple features about the seedy underbelly of mixed martial arts. Whether it’s the support of and by dangerous leaders throughout the Middle East and Eastern Europe, to White Nationalist groups creating MMA gyms for training, there’s an ugly side of the sport that needs to be uncovered and addressed. 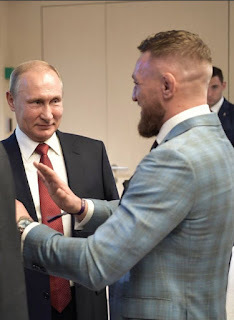 Former UFC Heavyweight Champion Fabricio Werdum's relationship with Chechen dictator Ramzan Kadyrov, a leader that has committed genocide, is, like McGregor's support of Putin, difficult to ignore, and deserves to be called out. This isn’t about “social justice warriors,” or "fake outrage." Nearly every week there’s another instance in the MMA space that runs afoul of what is considered socially acceptable behavior. 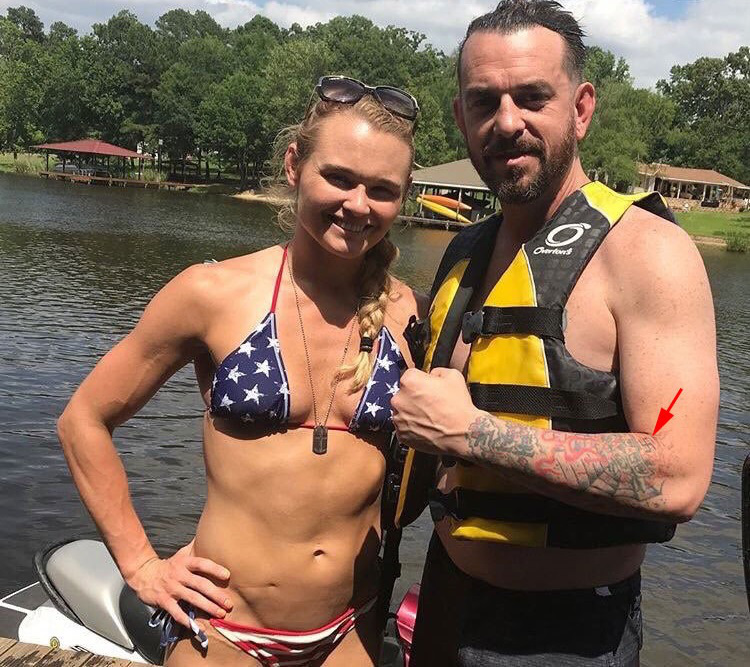 Whether it’s Andrea Lee defending her husband’s Nazi tattoos, fighters constantly using homosexual slurs, accusations of domestic violence, or Colby Covington making light of it, there are a variety of examples of just how far behind on social issues MMA fighters are when compared to their peers across professional sports. Imagine if these types of situations involved MLB, NFL, or NBA players. The mainstream media wouldn’t hesitate to cover these issues in full depth, and the public relations consequences would be dire. With the UFC moving over to ESPN+ next year, it will be interesting to see the manner in which the network covers these issues in the future, and the effect of its own desire to protect its PR interests. Lee’s husband was covered the week after the story broke, but not by ESPN's major shows. 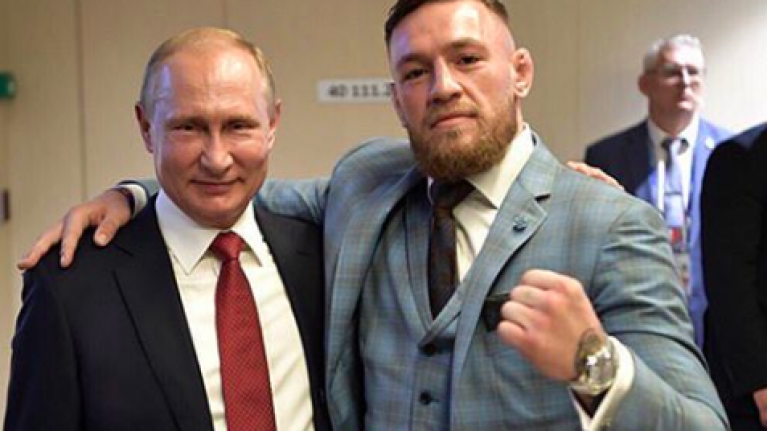 However, it won’t be long before the circus that is MMA is being covered in full by some of the loudest personalities in sports. The UFC’s multi-billion-dollar sale in 2016 solidified the organization's place as a major player in the professional sports world. And it's recent deal with ESPN+ provided long-coveted validation by the "Worldwide Leader in Sports." But as the company continues to work through the growing pains of mainstream positioning, there also needs to be a conversation about the questionable actions of some of the sport's biggest names. It’s only a matter of time before the sport's lack of social awareness pushes away more fans than it welcomes.